We will ride with you along the tour to show you the amazing nature of our country, to tell you it’s history, show you its culture and folk traditions, try local cuisines. And also to help you in case of any emergency. We started company with a few friends four years ago. As we were growing more and more people joined us and today we have 7-8 guides plus 5-6 back office staff. Our goal is to make a world class touring company with focus on Russia only. We live in very big and beautiful country with many opportunities for motorcycle travelling and its our goal to open Russia to the world. In the future we think of expanding our tours to the Stans counties, possibly to eastern Europe, but now we are focused just on Russia. We have plenty of regular tours, for example Moscow-Saint-Petersburg, Moscow-Vladivostok, Sochi-Elbrus, Crimea, Karelia and we constantly working on adding new destinations, for example Magadan (Road of Bones), Siberia (Altay, Tuva, Khakassia), Lake Baikal, etc. We prefer to travel in small groups of 6-8 riders to ensure individual approach for your needs, safety and high quality of services. Sometimes we have large groups of 15-25 people, but that is an exception now. Every day we ride approx. 350-550 km, it's a good distance to see all the beauty we have to show you and not to get tired. We are planning our tours so that we make a stop every 1-2 hours in an interesting place to see the sights, relax, eat, drink, and just share your impressions of the ride. In previous years we used support VAN only for big groups and upon request, but in the future we plan to make it a standard option for most of the tours. Almost all included: motorcycle, fuel, insurance, hotels, breakfasts, meals during the riding days (see tour description, not in every tour), guiding, paper maps, souvenir pack, excursions, local guides, support VAN (not in all tours), etc. We show you interesting sights, wonderful local cuisine, tell you stories about history and culture and will ensure your safety. You just need to choose a tour, all the rest we will do for you. If you want to ride your own bike that is perfectly well for us. Just reach the place where we start our tour, usually Moscow, and join the group. If needed, we can help you ship your bike out of Russia in the end of the tour (depends which tour, please contact us in advance). If you don’t like people, or you have a private company of friends, or just want a solo ride/challenge we will be happy to arrange self-guided tour for you. You will get tour program will day by day plan with all places to visit, GPS, addresses. We can book hotels for you, arrange private excursions. 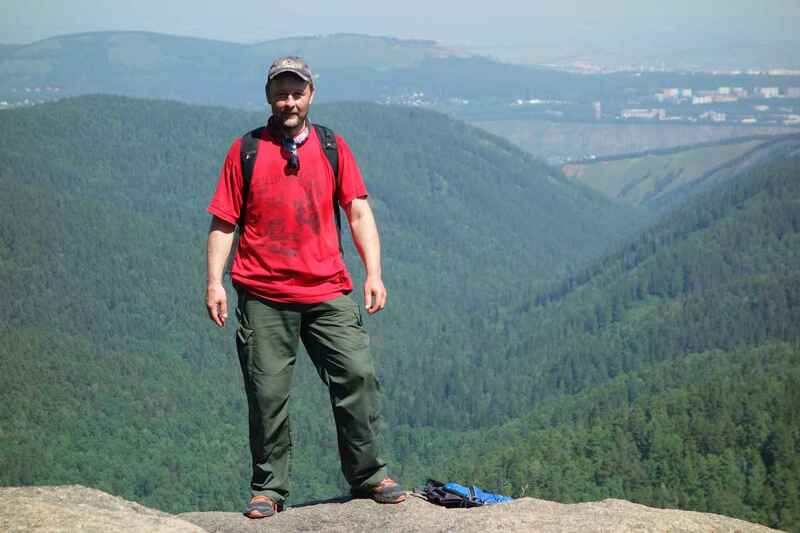 It’s our strong believe that in Russia it is better to ride with a local guide. Why? Mainly because of language barrier, that’s main risk. There is no problem with language when everything goes well, you can explain what you want at petrol station, in the restaurant, in the hotel. 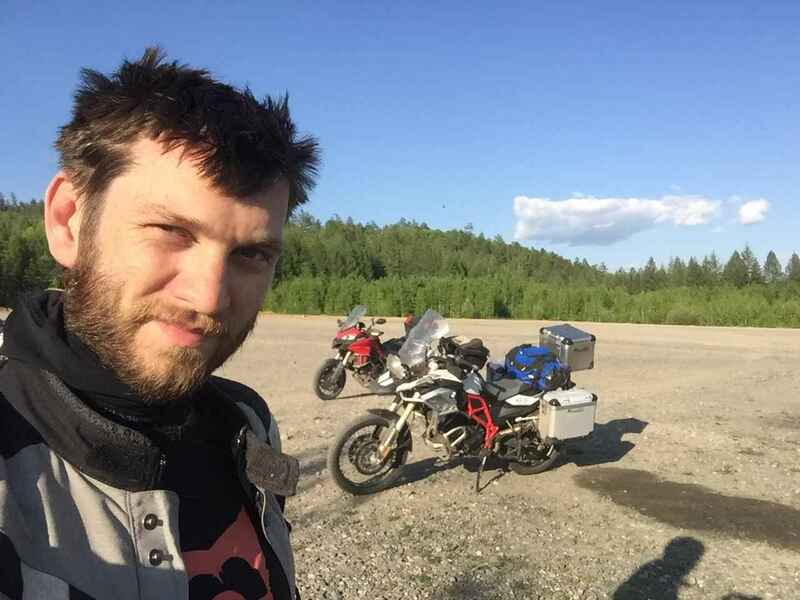 But when something goes wrong, you feel sick or your bike is broken, and you need emergency help somewhere on the road or in the small city/village in Siberia, solving even a small problem can become a complicated case. Without knowing Russian language, you can’t easily find in the internet nearest service station or auto store and call them to check if they have necessary spare parts. You can’t easily find 24-hours working emergency therapist in the central hospital in Ekaterinburg. And there are many situations like this. Also riding without guide in 90% means riding only highways because there are too many secondary roads and the quality is to different. Like everywhere in the world if you ride according to GPS you can find gravel road when it shows highway and just the opposite, perfect paved secondary road when GPS shows there are no even walking paths at all. Please don’t think that we are pushing to travel only with our guides, we just aware you of possible risks that sometimes happen. And be ready to solve them. If you read this sentence the good think you at least have our contacts and even if you travel of your own be sure you can always contact us if you have any problems in Russia. We will help anyway. Guide is a person, who will show you Russia, its cultural and natural riches so that you will fall in love with the country. 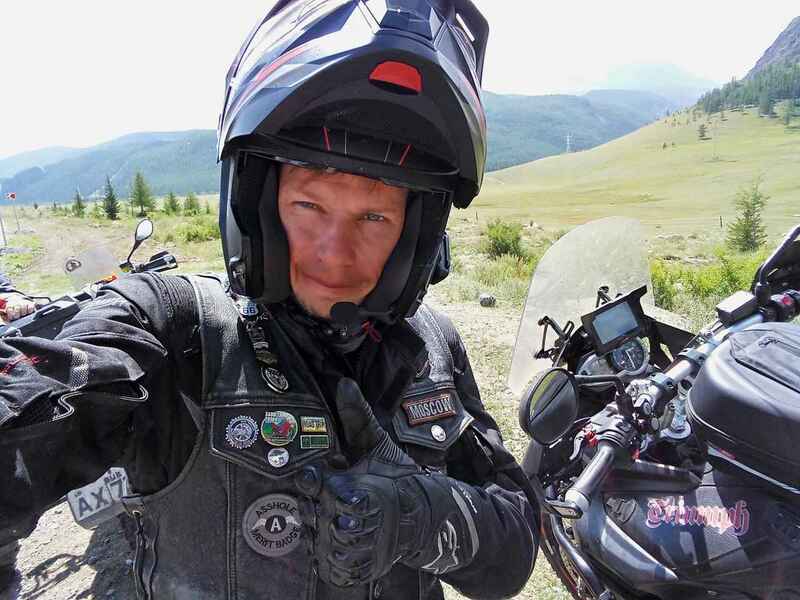 The story of Alexander Nikonov, one of the founders of Russian Moto Travel Company. I have always loved reading for as long as I could remember. At some point I became interested in the works of A.I. Solzhenitsyn, read almost all his books, studied his biography, watched several interviews. In one of them he pondered, that we do not know the country we live in. A very big country with beautiful, unspoiled nature and a huge legacy of many nations, which have coexisted here together for a long time. We have everything every other nation could wish for, but we do not notice this and are always looking and eager to go abroad. During my life I have been in many parts of the world: surfed and practiced yoga in Bali, done Muay Thai in Thailand, met the dawns on the banks of the Bosphorus, walked on the emerald grass of Geneva, snowboarded in the French Alps. I know so much about other countries, but what do I know about my own country? Saint Petersburg is one of the most beautiful cities in Europe. Karelia's nature is the same as in Norway or Finland. 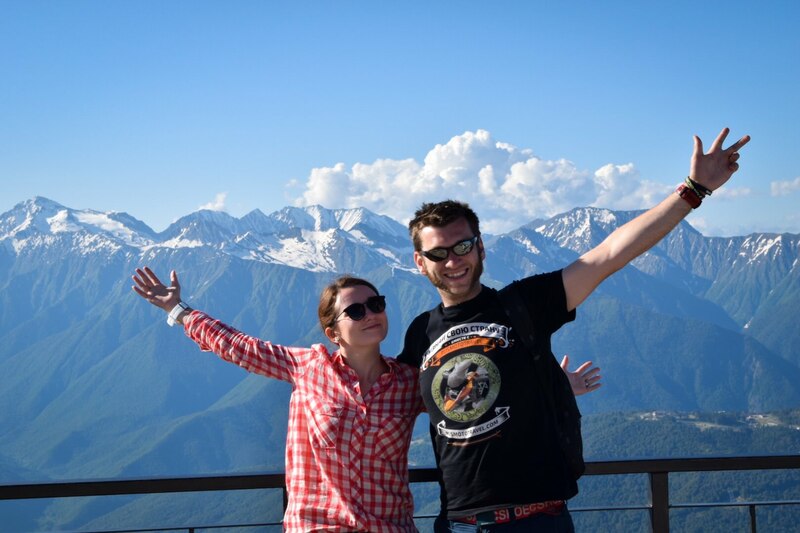 The Caucasus Mountains share many characteristics with the Alps, but their peaks are generally much taller and comparable in their beauty. Siberia, Altai Mountains, Lake Baikal, Vladivostok, Elbrus, Kamchatka - there is so much beauty here to see, and how little of it we have seen. Interviews with Solzhenitsyn made a strong impression on me and I decided to travel more all over Russia. I traveled to Karelia, Nizhny Novgorod, visited Valday, Sochi, Lipetsk and Voronezh, as well as the cities of the Golden Ring and the Moscow region. That was great travels! In September 2015 I went to Milan to see the city and have some vacations on Como Lake. There I saw hundreds of bikers from all over the world: there were guys from Israel, USA, Brazil, Iran, Italy, Germany, France, Romania, etc. While talking to different people I saw great interest in Russia: everyone asked, how we live in this great country, where they can rent a bike in they visit Russia one day, what are the most popular motorcycle routes, how much it costs and who can arrange it. In the evening upon returning to the hotel I checked in the internet what companies do motorcycle rent in Russia. I was surprised to see that nobody was really doing any bike tours in Russia. And then I got an idea, that I want to do it. Thus, the idea of Rusmototravel was born with its mission: to Explore Russia to people from all over the world. Russia is an amazingly beautiful country, with 200 nations, 35 languages, 7 religions, vast areas with all types of terrain. We have great historical heritage, wonderful unspoiled nature and kind helpful people. Yes, indeed, for a long time there was not enough infrastructure in Russia for this kind of travel experience: roads we bad, few good quality hotels, parks and museums were closed or were in poor condition. But now these problems are solved. Russia is developing fast and today it offers a lot for motorcycle lovers. 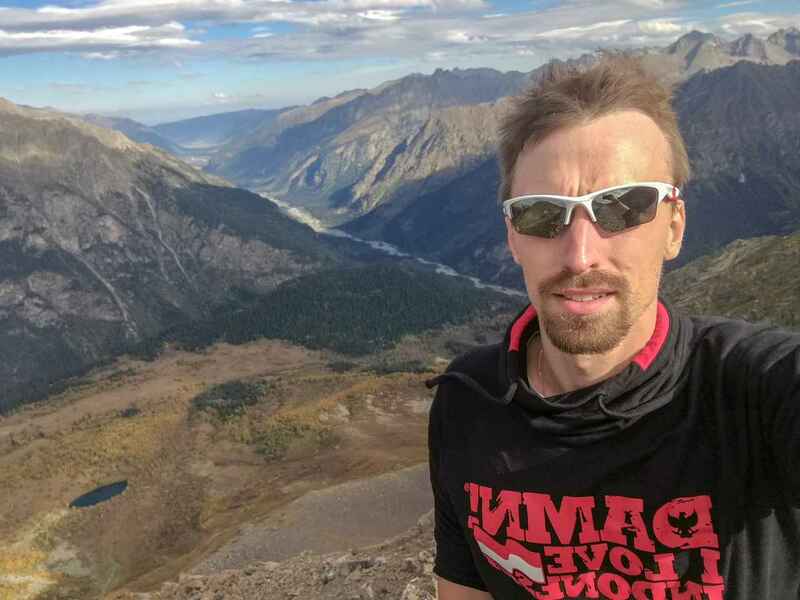 We are pleased to offer you the most interesting tours through the best of Russia from Moscow to Vladivostok, to Sochi, Elbrus, Magadan, Crimea, Karelia and many other places. Please see our tours section and you will definitely find something interesting for you.